Stationery is one of my favourite things, I like it all! 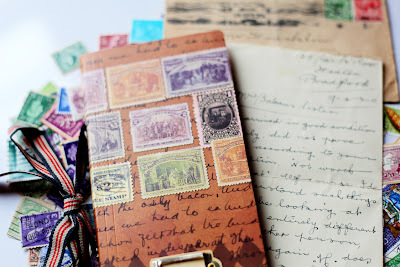 From old letters and stamps to crisp new notebooks fresh out of a packet and all things in between. 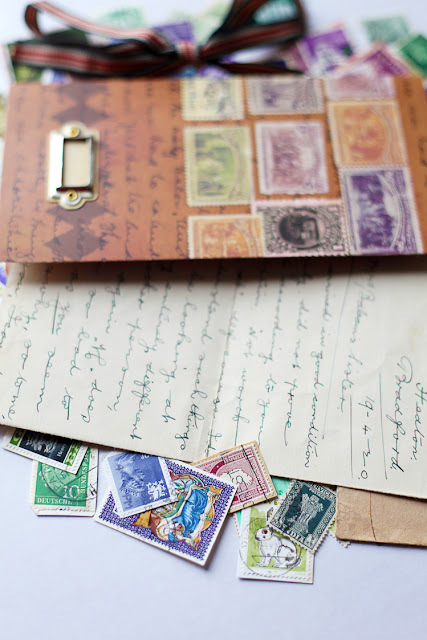 I love imagining the possibilities of blank sheets of paper and cannot help myself when it comes to old correspondence as the lure of fashioning my own story for the writer behind the words is too great. 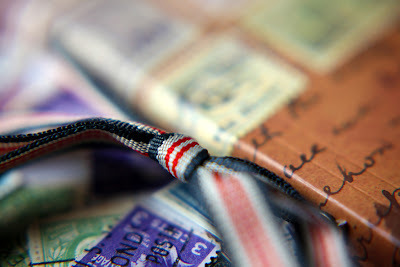 This little notebook was an inexpensive one picked up on eBay but it combines my penchant for used stamps and flowing handwriting in it's decoration so it seemed only fitting to photograph it in company with the real thing; a letter written in 1920 and several handfuls of pretty stamps. Friday is here and tomorrow I'll be headed to Heathrow to be reunited with the fella after three weeks apart, I hope you all have a wonderful weekend! My goodness - how splendid. 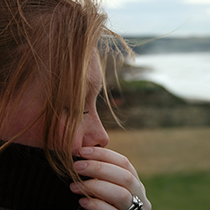 I spotted you a few moments ago on google and thought what an intriguing blog title it was, I have not been disappointed! 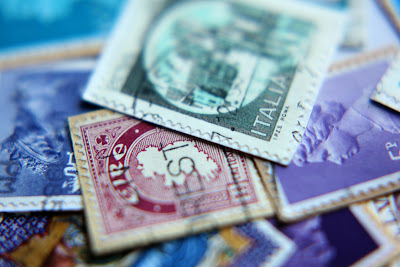 How I wish I still had my child hood stamp album now.I did pick up one not long back to put in all the stamps I save.I have never been able to throw stamps away always tear off and throw in a drawer lol must orgainse that soon.I reckon they will be a real rarity over time. i love all of the colors! everything looks so neat! what a great find!! what a pretty notebook,just the thing for shopping lists! You hit the jack pot here. Love it all! 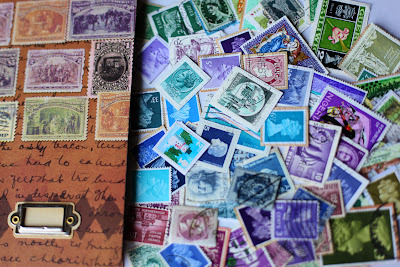 This is an absolutely gorgeous post :) Love colorful stamps, notebooks and old letters! 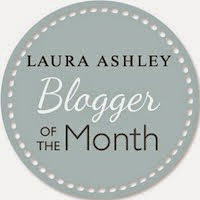 Just found your blog, and am currently reading my way through all the posts - I'm actually falling in love with your blog! oh what a treasure!! 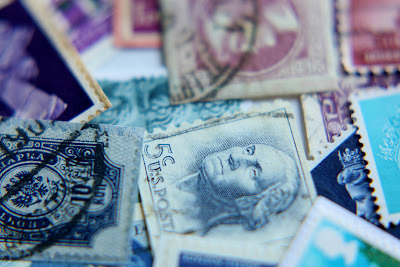 I'm just looooving all those postage stamps!